It's the fifth such project Google's been involved with. 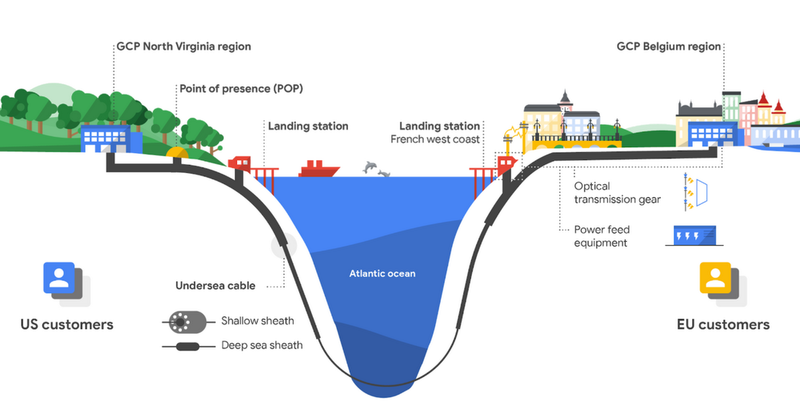 Google has been involved in a number of undersea cabling projects in the past, including connections between Chile and Los Angeles, the US to Denmark and Ireland and Hong Kong to Guam. It also completed an undersea cable between the US and Japan in 2016. Now the company has announced a new private undersea venture to connect Virginia to France named after the founder of the Red Cross, Henri Dunant. Durant will cross the ocean between Virginia Beach and the French Atlantic coast, helping Google expand its network on the project's planned completion in late 2020. The new private cable will support the growth of Google Cloud, as well, with which the company plans to provide high-bandwidth, low-latency, secure connections between the US and Europe.